During the year 2017, the association strove to relay, as usual, initiatives and news directly related to Christian finance (Catholic, Protestant and Orthodox). More than 20 articles have been published on our new bilingual English / French website. The year 2017 was the opportunity to deepen the universal vocation of the Observatory by expanding its network. Today, it has permanent contacts in several cities (Sydney, Paris, Brussels, Luxembourg). Discussions also occurred with practitioners and academics based in Canada, England, Spain, Poland and South Africa. We hope that these exchanges will be deepened in 2018. The creation of the Princificat Committee in France marked a significant milestone in Europe. 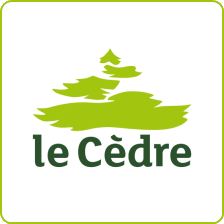 Under the leadership of Federal Finance Gestion (Arkea), the Observatory co-founded this ethical and financial committee in partnership with the Congregation of the Daughters of the Holy Spirit, the Congregation of Crehen and the Diocese of Rennes. We hope that this committee will contribute to the creation of an international reference structure, useful to all, in the field of ethical certification. Among its various meetings, the Observatory was very honored to participate in a Radio Courtoisie program in the presence of Pierre de Lauzun and Philippe Troesch, two eminent French specialists in Christian finance. Other achievements and projects were born: creation of a PowerPoint presentation, improvement of the social networks (Twitter, Facebook), drafting of a Christian loan agreement. We wish an happy New Year 2018 to you and your loved ones!